Spring has now sprung upon us and with just over a few weeks to go have you made plans for your Easter break? Christmas doesn’t seem that long ago and even though your pockets might still be feeling the pinch everyone deserve that break over the Easter period. 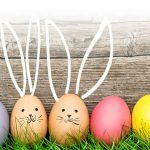 You may not think you can afford to hire a car to make things easier over the Easter break but with our great deals you will be pleasantly surprised. Family holidays can be stressful enough without having to worry if everybody and their luggage can fit into the vehicle you have selected so leaving your booking until last minute can be risky. Make sure you book in advance for this busy time of year so you do not miss out! And remember the cheapest option you see may not always be best for what you need. Once the job of booking your vehicle has been ticked off your list the next thing will be making sure the journey is as stress free as possible by keeping the children entertained. We have thought of a few ideas that may help keep your children occupied. Electronic gaming devices are an obvious choice but sometimes old fashioned games like I-spy and 20 questions is a good way to interact with the family. Playing music that everyone can enjoy is also a good way to bond and pass the time. All these activities can make you hungry so it may be a good idea to take a packed lunch- you could even pull over for a picnic. If you have any questions or need advice regarding your car hire please feel free to contact us. 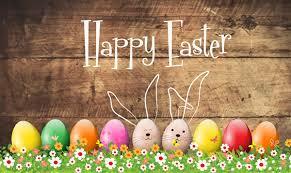 We hope you have a Lovely Easter and hope to see you in our office!